The word 'warrior' sends a tingle of fear down the spine. The word conjures up fierce, merciless fighters seemingly invulnerable to fear or intimidation and prepared to fight to the death using deadly weapons and blood thirsty tactics to achieve victory. Not the usual image that we would associate with women - but there were many Native American Women Warriors. Whilst the warrior class in tribal societies was typically all-male, there were exceptions where young, unmarried women formed part of the warrior class - the Warrior Women. Native Indian tribes spread across the whole continent of North America. There were many different cultures that emerged based on the climate of an area and the natural resources available. The men and the women were dependant upon each other to live. And in many Native Indian cultures the men and women were considered equals. Native American Indian women were not subservient to men. The men adopted the role of hunter and the women usually adopted the conventional roles of raising the children, looking after the home and gathering food. But there were many circumstances when the female members of the tribe adopted the role of Women Warriors. The Native Indian women were used to blood, guts, death and gore - it was their job to skin and prepare the carcasses of animals for food. They were also used to a violent war-like culture with many inter-tribal wars. 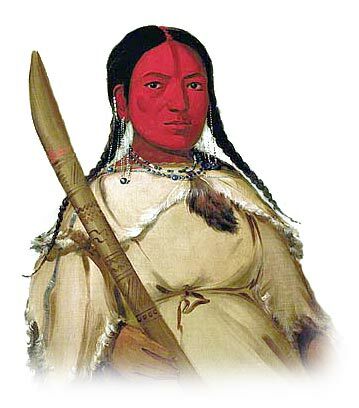 Native Indian women often played an important role in decision making - in many tribes the women decided to go to war, when to stop a war and the torture and punishments for captives. In some tribes the women mutilated the bodies of the fallen, whilst in other tribes women would torture prisoners to death. Women also played a role in ceremonies such as the Scalp Dance. Women Warriors were no strangers to violence. Who were the Women Warriors? Most women Warriors who fought in battles and conflicts did not pursue the life of Women Warrior on a permanent basis. However, there were many instances of aggressive women who chose the warrior lifestyle of a man rather than the life of a Native American woman. No social stigma within the tribe was attached to these Women Warriors. Young women took part in war and raiding parties before they were married. Women warriors could gain honors and prestige within their tribe by exhibiting behavior that was culturally defined as masculine. Married women, without children, would accompany their husbands on war parties. The Great Plains Indian tribes led a life of the Hunter gatherer. With the introduction of the horse by the Europeans many tribes left their homelands for the nomadic lifestyle. There was incessant inter-tribal wars. Women warriors could gain honors and prestige within their tribe by exhibiting behavior that was culturally defined as masculine. In this situation Women warriors could compete for the prestige associated with war and raiding on equal terms with men. Women warriors could profit from the 'spoils of war', such as horses and other items that were highly valued. There were Warrior women in all of these tribes.